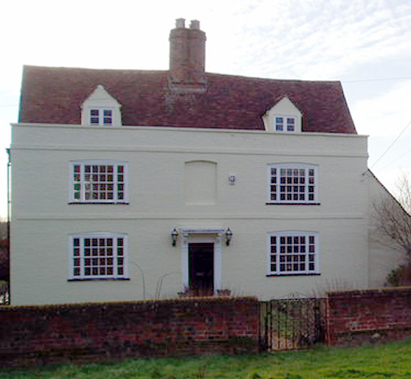 The Langman family had moved to Danbury by 1880 and were managing Ludgores Farm, Horne Row, Danbury Common. Henry Westlake Langman was by trade a builder / carpenter so it is a little unusual that he decided to purchase a farm in Danbury. When the 1881 census was taken (see bottom of page) the Langmans were resident at Ludgores Farm. The family consisted of Henry Westlake Langman 55, his wife Ann 51, their children Jane 26, Thomas 20. Mary 21, Edward 16 and Louisa aged 9. Not shown is the Langman' oldest son Willliam Henry Langman 23 who was working as a carpenter in Croydon. In 1883 Henry Westlake Langman died. 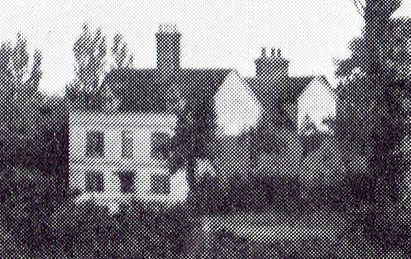 Both his sons William and Thomas appear to have managed the farm after this date but it had been sold by 1887. Mary Langman in 1885 married Stephen Moore .William Henry Langman married Clara Jane Davies in Croydon in 1888. 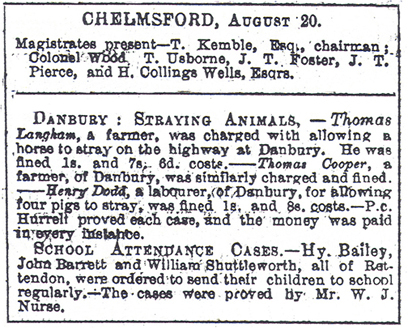 Edward Langman in 1887 married the daughter of Danbury's Postmaster George Spalding. His wife, Clara Jane Langman continued to live in Danbury and retired as Sub Post Mistress in September 1931 at the age of 65. Thomas Langman married Christiana Musgrove in November 1885 and was to manage The Cricketers Danbury Common. Thomas's mother Ann and sister Louisa later moved to Croydon. Ann died there in 1896. Louisa married in 1899. The photos top left and middle show Ludgores Farm present day and about 1900. Note the bricked up top centre window. The amusing newspaper cutting dates from1885.